Some things--and some people--sure have changed. Sam has grown from a carefree boy to a single dad. And even though the chemistry between them sizzles hotter than ever, Trixie Lynn quickly discovers she must choose between the fame and fortune that have finally come her way--or the one true love who has the power to mend her patchwork heart. Lori Wilde is the New York Times bestselling author of more than forty-five books. A former RITA® finalist, Lori has received the Romantic Times Reviewers’ Choice Award, the Holt Medallion, the Booksellers Best, the National Readers’ Choice, and numerous other honors. She lives in Weatherford, Texas, with her husband and a wide assortment of pets. 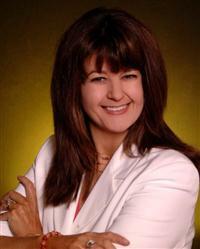 Lori teaches Romance Writing Secrets via the Internet through colleges and universities worldwide at www.ed2g.com.